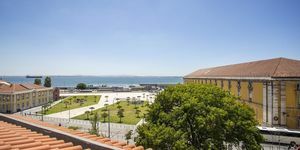 Discover our special offers, designed for you and your family, for that perfect long-weekend getaway, vacation or business trip to Lisbon. A unique shopping service where we assemble all food products that you need to enjoy your breakfast in great style! 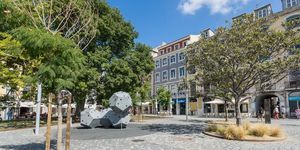 Strategically located downtown Lisbon, in one of the most alive and exciting areas of the city. An excelent starting point to explore the city! The check-in process is automatic on your arrival day and you can have direct access to your Suite without queues or delivery key appointments. Two days before your arrival we will send you via e-mail the access code to the building and to your Suite. There are no limits to your late check-in and no extra fees. We want you to fell at home, so we deliver your personal key even before your arrival! For your comfort and a better use of the kitchenette we offer a breakfast service with a basket full of essential products. 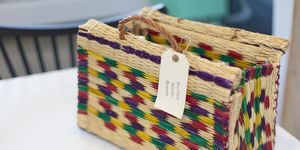 You can ask for this service after booking, by e-mailing us your order and on your arrival you will find a fabulous and typical wicker basket with a selection of products for the first meal of the day. In addition to this service, your kitchenette is equipped with microwave, coffee machine, toaster, electric stove and some of them have dishwasher. In all kitchenettes you will find, free of charge, basic ingredients such as coffee, tea, sugar, vinegar & oil and salt & pepper. Everything for you to feel at home. Our offices, located inside the Emporium Suite’s building, are open from 10am to 4 pm every days, and we will be available to welcome you. If you want to book a tour, restaurant or simply ask for suggestions or information, we will be happy to help you to make your stay memorable.